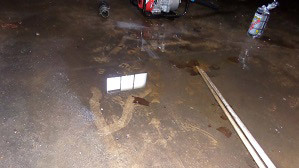 A leaking and/or seeping basement is a common occurrence in the Midwest. When a basement seeps, it may be a combination of things and does not necessarily mean that a home or business was not built well or that some sort of natural disaster occurred. The most common cause of basement seeping or leaking is pressure created by water in the soil surrounding the foundation. Water in the soil is caused by several factors such as poor drainage, plumbing leaks, inadequate waterproofing and compacted soil. As the pressure increases against the foundation walls, forming cracks in the walls and floor. Sump basins are a recognized solution to water in your basement in the Chicago and Hoffman Estates, IL area. 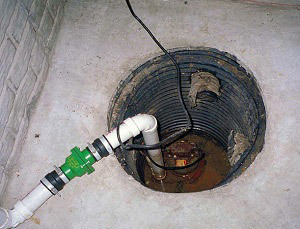 A sump basin is a hole that is installed in the lowest area of the home that is usually in the basement or crawlspace. It is configured to collect water that has accrued around the foundation or ground water from underneath the foundation. It is a very important basement waterproofing method for your Hoffman Estates and Chicago, IL home or business because sump basins prevent basements from flooding and water damage that are often times not covered by home owner's insurance. If you already have a sump basin and sump pump that are over 10 years old, it may be time to replace them. Frequently turns on and off: The sump pump frequently cycles on and off. Runs for a long time: When listening to your sump pump, does it run for long time? If yes, then you may need a professional to inspect it. System not turning on: If it is not turning on when it should be, the float switch may be stuck or damaged . Noisy sump pump: If the noise is excessive, this is a sign of damage. Sump pumps should have a low hum. Interior waterproofing consists of heavy duty sump pumps. Since water and moisture in your basement can affect your entire home, a sump pump is an essential investment. It can protect your home from mold and future foundation issues. A sump pump in Chicago and Hoffman Estates homes is used when flooding happens regularly or where the water table is above the foundation of the home. The sump pump drains the water away from the home and foundation. For exterior waterproofing, we use only the optimum products and supplies to ensure you're getting the superior waterproofing job your home needs. Our exterior drainage system products include French drains, building runoff collection and sump systems.